Willis Bowden practices civil litigation with an emphasis in medical malpractice, personal injury defense, and wrongful death defense. Willis attended Northern Arizona University where he double majored in Political Science and Criminology and Criminal Justice. He received his Bachelor of Science in 2011. He went on to study law at Nova Southeastern University in Ft. Lauderdale, Florida, where he received his Juris Doctor in 2016. Willis served a term as President of the Evening Law Students Association, Secretary of the Student Bar Association, and was a member of the Nova Trial Association. In his senior year at Nova, he received a Pro Bono Honor Award for contributing over 125 hours of pro bono service. 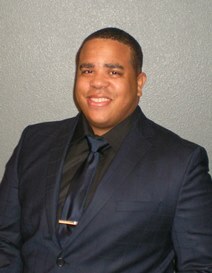 He also served for several months as a judicial intern in the 17th Judicial Circuit Court of Florida for the Hon. Judge Ginger Lerner Wren. Outside of the office, Willis enjoys spending time with his French Bulldog Zoey, hiking, paddle boarding, politics, watching mindless television, staying up to date on current events and celebrity hot topics.